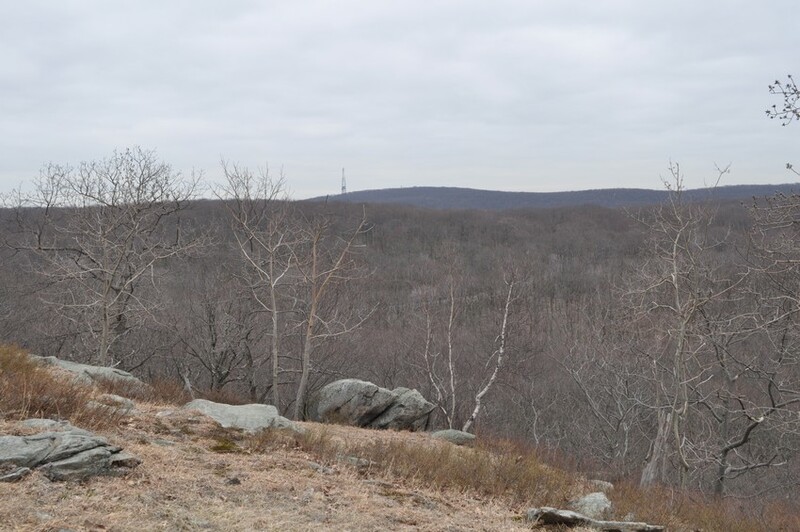 Rockhouse Mountain is the highest point in Rockland County, at 1283 feet above sea level. 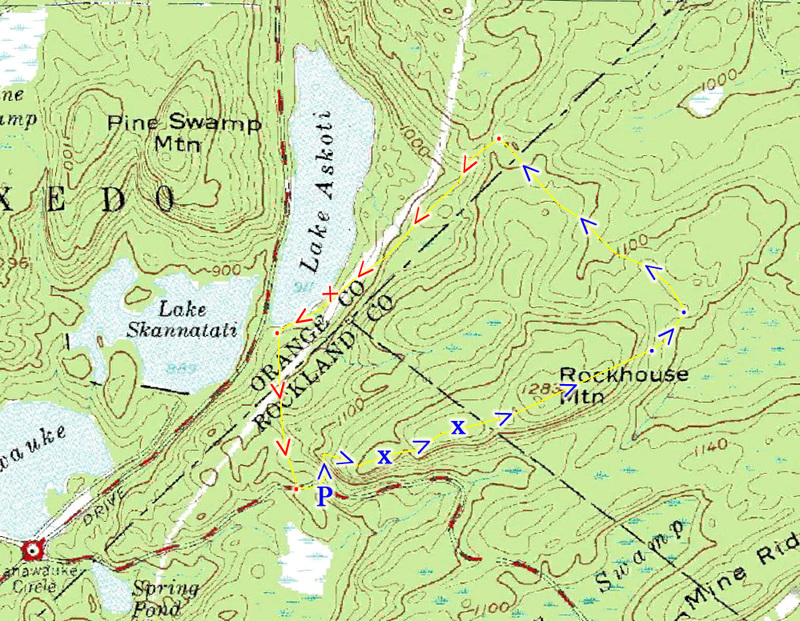 I looked at the maps to see if there was a higher point in Rockland but couldn't find any, although there are several points that make it very close. Surprisingly, there is no trail that ascends this mountain. However, there is an easy climb to the Rockhouse viewpoint which is short and right off the road, and it offers an excellent view. I drive by this mountain almost on a weekly basis, and this was the first time I decided to get out and climb it despite there being no trail up. 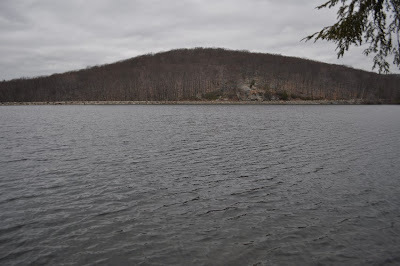 I parked on Gate Hill Road/Lake Kanawauke Dr near the end of of its snaking route along Rockhouse Mountain. I parked near the end of Rockhouse where it dips down, right after the "Rock House" located on the Trail Conference Map. I ascended the steep rocky portion of this mountain to the very good view, which faces south and east. There is somewhat of a eroded trail along the top ridge, though it eventually fades in the shrubs. 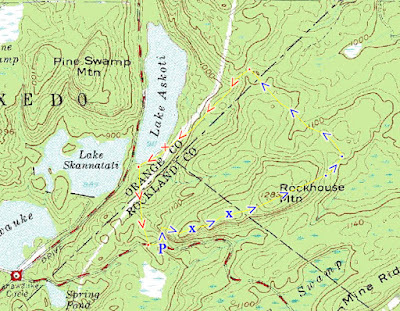 The view is not at the true summit; to reach the true summit you have to bushwack a bit to the east past the viewpoint. 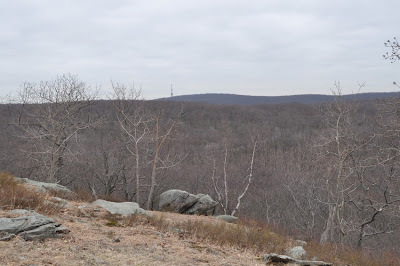 I continued bushwacking past the summit, then bushwacked down the mountain towards the Beech Trail. 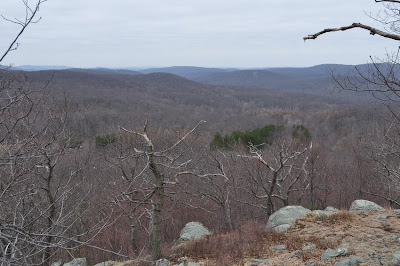 Continued for a short distance on the Beech Trail to the Rockhouse Mountain Trail. This trail is unmblazed and cuts accross from the Beech until the unmarked road that starts at Lake Askoti. 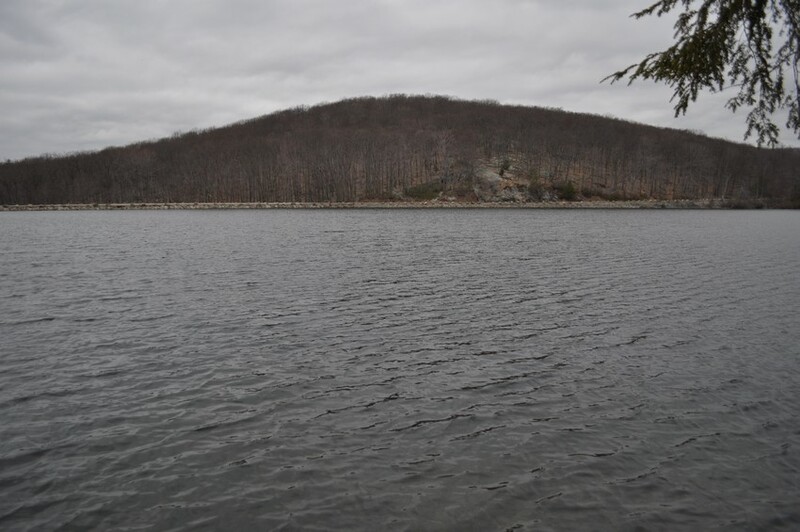 It is a well-known unblazed trail and is unofficially marked throughout its length by rock pile cairns. 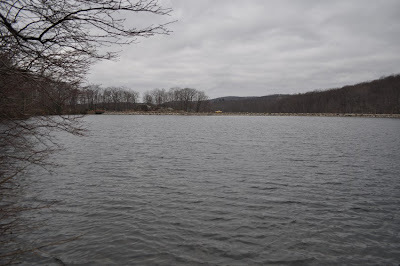 I took this trail until the unmarked road beyond Lake Askoti, and then headed along that trail to the shore of Lake Askoti near where it intersects 7 Lakes Drive. From there I took the Long Path south back towards where I parked my car. Rockhouse Mountain from the Road. Climbed this steep rocky area to get to the View. Ascending Rockhouse Mountain, with the road in view. 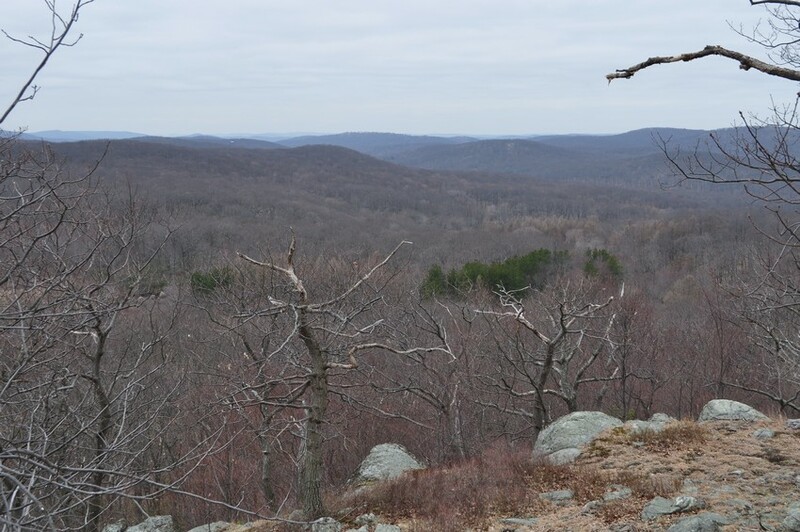 View atop Rockhouse Mountain, facing West. with Jackie Jones Tower in view in the center-left. Cairn at the Northern end of the Rockhouse Mountain Trail. A Very Gray Lake Askoti. 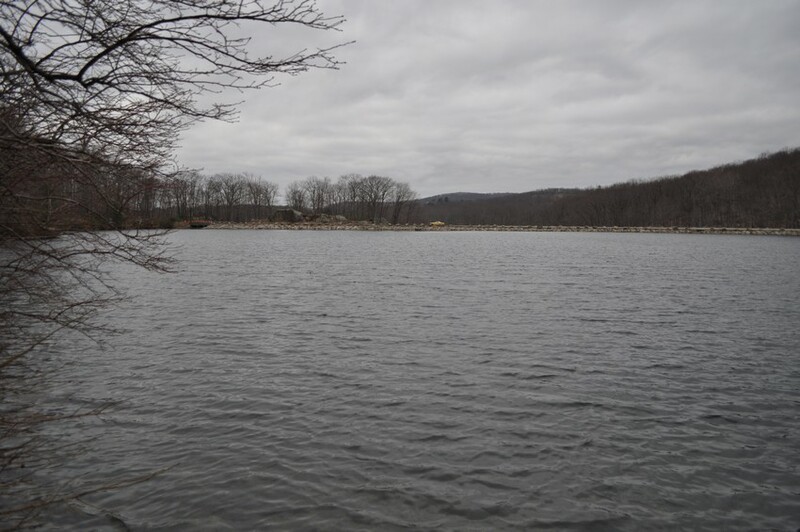 Lake Askoti With part of Pine Swamp Mnt Behind. 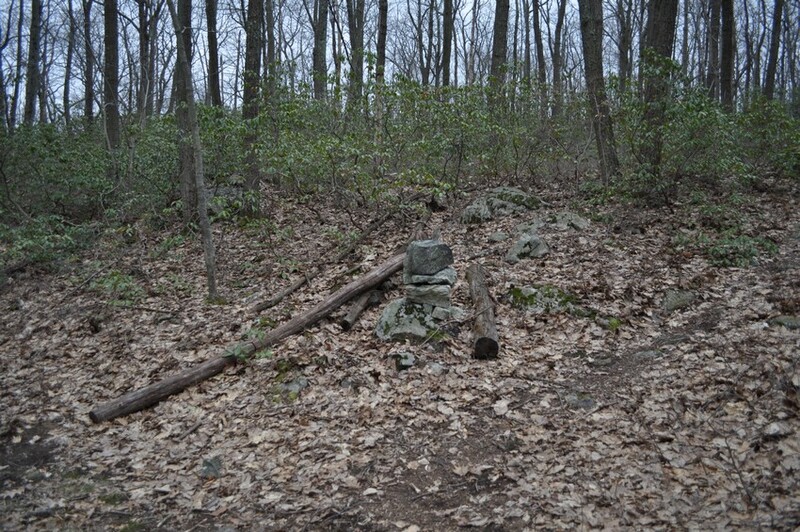 Thought this trail (rockhouse mountain trail) was pretty poorly laid out then again unmarked is unmarked. What was up with all the silver bottom of cans nailed to trees? My GPS trail finder kept putting me off the trail yet my map said the trail was there. Have to do this one with a partner. I did this trail prior to Hurricane Sandy. 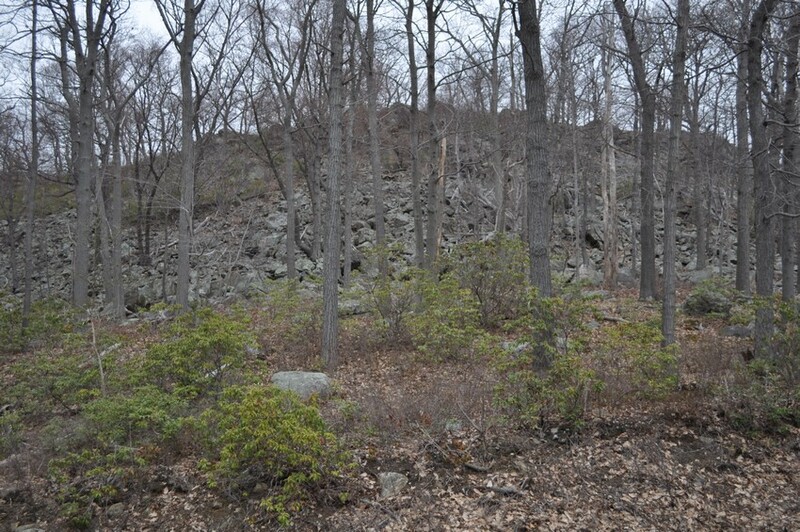 This area was particularly devastated by Sandy with many fallen trees. 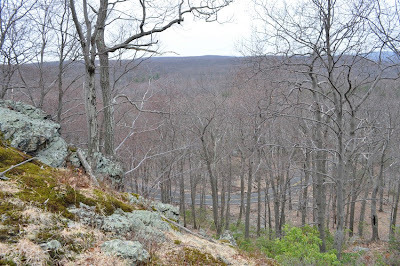 I suppose that the Rockhouse Mountain trail, which was unmaintained, is in an even worse shape now than it was before and is probably even harder to follow.